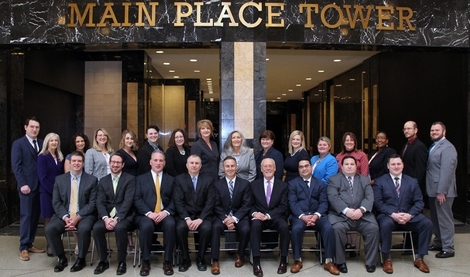 Hamberger & Weiss began at what is now Phillips Lytle LLP, one of upstate New York’s largest full-service law firms with diverse practice groups, including a robust workers’ compensation practice started in 1945. With the 1990 legislation giving private health carriers expanded reimbursement rights against workers’ compensation providers, we in the Workers’ Compensation Department saw that our allegiance to our clients required us to separate our practice. In 1991, Hamberger & Weiss was formed with eight attorneys in our Buffalo and Rochester offices focusing on hearings and appeals. Over 27 years, we have grown to 40 attorneys, and during that time our practice has expanded to include numerous workers’ compensation defense services on a statewide basis. Our firm is dedicated to the vigorous defense and litigation of our clients' cases, but we also focus on client counseling for litigation avoidance and early exit strategies when the facts and the law warrant. Our commitment to our clients goes beyond handling cases. Our attorneys are regularly found on the cutting edge of changes in the law and the administrative process. Our firm has been honored with the AV Pre-Eminent Rating, highest legal ability and ethics, by Martindale-Hubbell. We have conducted annual client seminars for 40 years, and these programs are approved by the New York State Office of Court Administration for Continuing Legal Education credits. We are the only New York State Member of the National Workers’ Compensation Defense Network, a nationwide association of independent, AV-rated law firms committed to providing the highest quality representation, counsel and education in workers’ compensation defense. A number of our partners are listed in Best Lawyers in America and Super Lawyers and are Fellows of The College of Workers’ Compensation Lawyers. We co-author the New York Workers’ Compensation Handbook and the New York Chapter in The Complete Guide to Medicare Secondary Payer Compliance, both published by LexisNexis. We are active members and frequent lecturers at the New York Self-Insurers Association; the National Council of Self-Insurers; the New York State Association of Self-Insured Counties; the American Society of Workers’ Comp Professionals; and numerous bar association, business and industry groups. We present in-house training sessions and webinars for our clients. To inquire about this, email buffalo@hwcomp.com or rochester@hwcomp.com. We publish White Papers on current legislative, regulatory and case law developments, and act as a liaison with the Workers’ Compensation Board and legislators to protect the interests of employers. Our attorneys have chaired the New York State Bar Association Workers’ Compensation Division and Special Committees, served on the Governor’s Task Force to establish guidelines and procedures for LWEC and PPD caps, and been on the Governor’s Advisory Committee on the Recodification of the Workers’ Compensation Law. We value our clients and colleagues and tirelessly work every day to provide the highest quality legal services which you expect and deserve.